we played through the glass door. 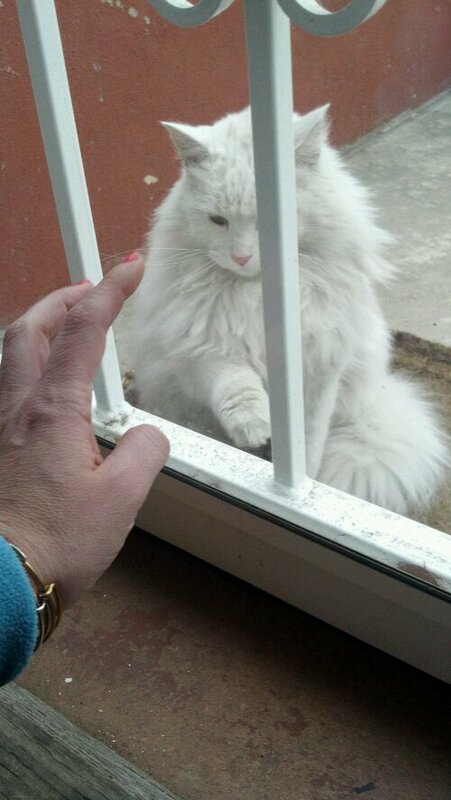 Then he let me stick my fingers out the door like cat toys. He pawed softly at my bright orange nails. It was so special. One day we will play together and roll around on the warm sidewalk together. Then he will come inside and see how lovely shelter and warmth can be. or, maybe he will teach you to live outside with him? Adorable. I’m in the market for a cat.